The health benefits of Pu Er tea has long been known by Chinese people. 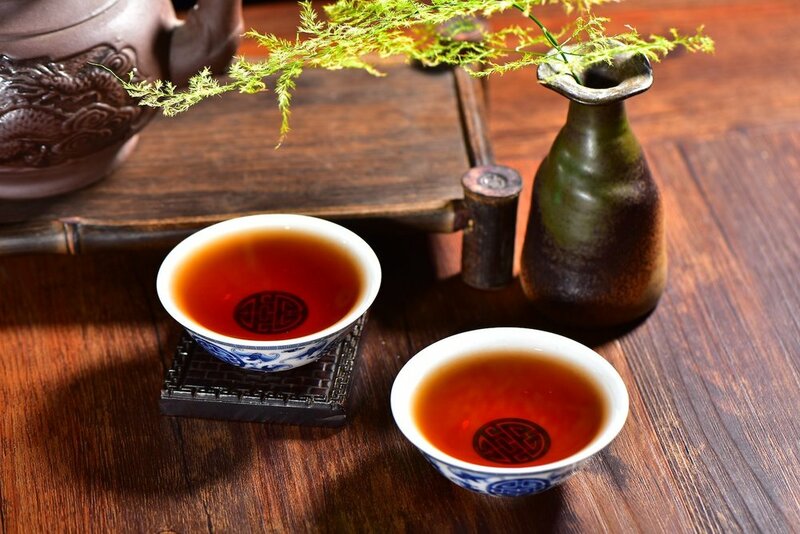 Especially during the Qing Dynasty (1636 - 1912 A.D.), Pu Er was highly regarded by the emperors, who used it as a daily drink to improve their health. According to historical records, Pu Er, along with ginseng and bird’s nest, are the three daily health foods in the Qing Emperors’ palace. Furthermore, only the emperor, the emperor’s wife, and the emperor’s mother had the privilege to drink Pu Er every day. Others only got to drink the tea in special occasions, such as an important ritual ceremony, or when Pu Er was given to them by the emperor as a special present. One can see that at that time Pu Er tea cannot be obtained just with money. For over 200 years during which Pu Er was required by the Qing emperors as yearly tribute, it never dropped off the tribute list even once. The Qing Dynasty’s emperors liked Pu Er more than any other teas. King’s Pu Er has become a symbol of the emperor’s privileges. The production of King’s Pu Er has very strict standards. It requires only top grade tea leaves, and very sophisticated production techniques. The dry tea leaves of King’s Pu Er are long, thin and tight. After steeping, the liquor displays a brownish red color quickly. The flavor is thick and smooth, with a sweet aftertaste. After steeping, the tea leaves are brownish red, have a thin shape, and a strong aroma. Pu Er can not only be used as a medicinal drink alone, but also combined with other herbal medicines for more health benefits. Through history, our ancestors have developed many simple yet effective recipes to utilize Pu Er’s great effects on improving health. 1. It has been proven by medical researches that Pu Er tea can help with digestion of fatty foods such as beef and lamb. It can also help with bowl movement. It has anti-radiation and anti-aging functions. 2. From the book Additions to Compendium of Materia Medica: 40% of people in a study who had been drinking Pu Er over a long time period had lost weight, had lower blood lipid levels and improved metabolism. 3. According to a research conducted in Yunnan, China, 55 patients with high blood lipid levels were given Pu Er, and 31 were given the drug Clofibrate, Pu Er’s effect was better than Clofibrate. The effects of the two treatments on lowering cholesterol were comparable. Furthermore, drinking Pu Er tea had no side effects. 4. From clinical trial results from Kunming Medical School: Over 40% of the patients who drunk Pu Er had lost weight. Weight loss was most significant among patients between 40 to 50 years of age. 30% of the patients had good results in lowering blood lipid levels, and 33% had average results. All patients had lowered triglyceride, cholesterol, and blood uric acid levels after drinking Pu Er. 5. From Paris Saint Antoine Medical School: 20 patients with high blood lipid levels drunk Pu Er 3 times a day for one month. Results showed that their blood lipid levels had decreased by 25%. Patients who drunk other teas didn’t have a significant change in their blood lipid levels. 6. From Professor Jacitot at the Paris Henry Lundall Hospital: Pu Er can decrease blood cholesterol, triglyceride, and free fatty acid levels. It is also helpful in treating fatty liver. 7. From Food Technology Research Institute at Taiwan University: Two groups of mice were fed with regular foods, and foods high in cholesterol, respectively. Both groups were given Pu Er tea. After 9 weeks, the average blood lipid levels of the first group dropped 10% and that of the second group dropped 30%. One or more soluble contents in Pu Er have significant effects in stimulating metabolism, and controlling and balancing cholesterol levels. 8. From Nutritional Physiology Lab at Paris University: The fungi in Pu Er tea produce lipase that can break down lipid. The researchers experimented with mice, and found that Pu Er tea had significant effects on decreasing the neutral fat and cholesterol levels in blood. 9. From Chinese Tea Art for Beginners: Fermented Pu Er tea can help lose weight, and decrease blood cholesterol and triglyceride levels. Pu Er tea can kill cancer cells, and prevent cancer and mutation. These tea leaves were hand picked from hundred-years old tea trees, packed in a tangerine peel, and aged for 10 years. 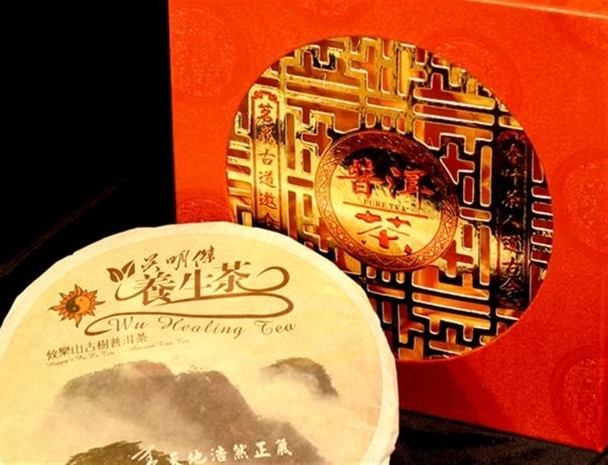 The older the Pu Er tea, the better the taste and health benefits! This tea has a wonderful blend of mild citrus flavor and the smooth and sweet aftertaste of Pu Er tea. Click here to learn more or purchase! This traditional style of Shu Pu Er (black) offers an impressively robust infusion that is credited to our unique blend of vintages ranging from 2-4 years in age. Its complex personality is revealed over multiple infusions: smooth while robust, a bit sweet and a bit savory, mellow yet powerful. At about 5 grams per tuo cha, each is designed to brew a single serving size.